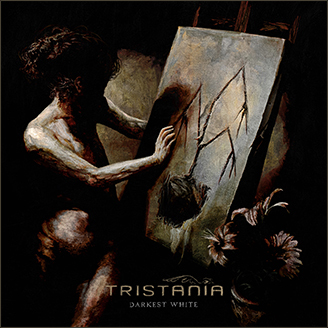 Tristania has today been confirmed to participate on the biggest metal festival in Central America, Costa Rica’s Festival Siembra y Lucha in December 2013. “There has been quite a lot of interest from festivals and concert promoters in South- and Central America, and we’re really happy this went through. We’ve toured with Overkill before, and it’s going to be great to meet up with both old and new friends in December”, bass player Ole Vistnes says. 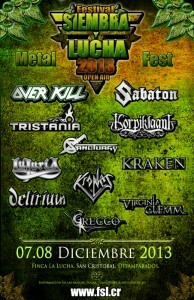 Other confirmed acts include Overkill (USA), Sabaton (SWE), Korpiklaani (FIN) and Sanctuary (USA). A few more international acts will be confirmed at a later stage.